Wayne Lee is one of the hottest hypnosis comedy acts in Canada today. As a career hypnotist and keynote speaker, Wayne Lee is mesmerizing, charismatic, and funny. A former Canadian amateur wrestling champion and school teacher, Wayne’s passion for his career is evident the moment he takes the stage. Every presentation is unforgettable, filled with non-stop laughter and inspiration that allows people to explore the depths of their imaginations, break through their fears, and live with more joy, freedom, and love. After two wonderful sold out shows in 2012, Horizon Stage is delighted bring Wayne Lee back to Spruce Grove on Saturday, March 11, at 7:30 p.m.
Wayne Lee’s entry into the world of entertainment happened more by accident than design. After a chronic injury ended his promising wrestling career he found that teaching in a classroom setting wasn’t fulfilling him enough. So Wayne harnessed his own passion and potential! He took a childhood interest in magic, and a fascination with hypnotism, and honed them into a stellar show that continues to delight audiences at a wide variety of venues including nightclubs, theatres, casinos, fund-raisers, conventions, trade shows, private, corporate, and special events. Over the years, Wayne has used hypnosis to entertain, excite, and mesmerize thousands of audiences across North America. He has performed over 2500 shows, hypnotizing over 25,000 people to explore the limits of their imagination, dance outrageously, and even act like celebrities! Wayne has appeared on numerous national television and radio programs and was recognized as Entertainer of the Year for 2008 at the 2008 Canadian Events Industry Awards. What does it mean to “Live the Laughter”? With Wayne Lee it means a highly interactive show that is as unique as it is hilarious. It means gut-splitting laughter and improbable scenes acted out by audience members no longer inhibited by their fears. Wayne invites members of the audience to explore their creativity, engage their passion, and experience increased group synergy – all while having fun! Wayne helps people out of their comfort zone and inspires them to truly become the performer they are meant to be. But there is no pressure - audience members can choose to sit back, watch, and be entertained OR they may decide to join Wayne on stage and become part the production. Wayne Lee captivates and charms his audiences, then envelops them in magic of the moment with outrageously funny results. He has acquired life-long fans, including individuals who became the stars of the shows they came to see. 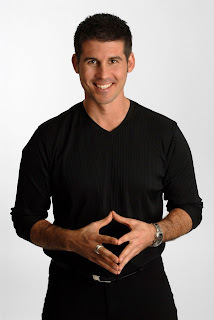 Wayne’s shows are always clean, classy, and tasteful and he gives each participant a life-changing suggestion that will help them achieve any personal or professional goal. Spend an enlightening evening with Wayne Lee at Horizon Stage on Saturday, March 11 and learn that the mind really IS capable of leading us anywhere... Tickets are $35 for Adults and $30 for Students and Seniors and may be purchased at the City Hall Ticket Centre (315 Jespersen Ave), by phone at 780-962-8995 or 1-888-655-9090, and online through Ticketpro.ca.